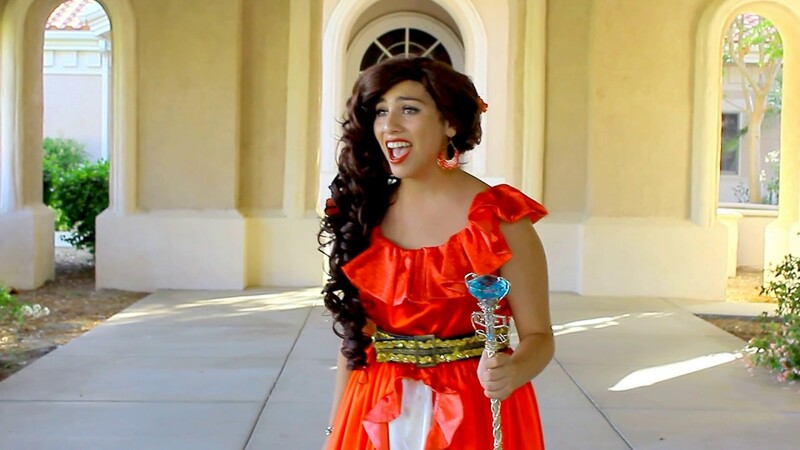 ✨With 220+ Reviews and Recommendations rating our services 5/5 Stars & packages starting at $155, Princess Pro Impersonator has Professional Singing and Acting Princesses, Action Packed Superheroes, Fairytale Characters, Clowns, Fairies, Ballerinas, Mermaids, and even a Magician at your service! We are Contracted, Licensed , and Insured! What you see is what you get. No surprises! You chose the Cast Member you want for your character and an Assistant is provided as well! Get a free quote through our Book Now tab on our website. Follow us on Facebook and Instagram for updates and coupons! Love Princess Pro, so Worth It! I absolutely love Princess Pro! We got Moana for my daughter's first Birthday, and she was in Love! From the moment I contacted them for booking, it was a great experience with simple and easy awesome customer services! I myself felt like I was talking to Snow White on the phone, they even made me feel like a princess myself! lol I recommend Princess Pro to everyone!! I would highly recommend Princess Pro Impersonators! From the beginning of my booking, everyone was so pleasant and professional. The communication was clear and consistent. On the day of the event, my Princess arrived in time and was professional. She interacted with all the children and made my granddaughter feel extra special. I truly believe that my granddaughter will remember this day forever! Thank you so much! We hired Ashley in March, 2017 as Sophia, and in Feb., 2016 as Elsa. She did such an amazing job both times, and she was on time, and very professional. We will also be using Princess Pro Impersonators again in March, 2019. Ashley was so memorable at my daughters 4th birthday party. We hired her as the mermaid princess and she looked just like Ariel. My daughter felt special that day and for that I am forever grateful. Also her voice was amazing! Meeting Rapunzel has been my oldest daughter's dream for months. We even took a trip to Disneyland and although she saw her in a show she was unable to meet her hero, so my daughter's grandparents called (kind of at the last minute) and talked to the owner, Ashley, who told us it would be no problem to have Rapunzel come and wish our little princess a happy birthday the next day (we got really lucky with scheduling). Our princess far exceeded all of our expectations, and my four year old's dream came true. It was a blast, And I guess we will be seeing more from this amazing company, because now my almost three year old wants to meet Elsa. Cant wait to work with you ladies again in the future. We were provide an Island princess her name was Camryn and she was just so perfect. My grand daughter is shy but Camryn made her feel so comfortable. My guest all said she fit Moana perfect. Her assistant Kimberly was very nice and I will be using this company again. Ty for making Adelina's day so special. I’m just amazed by the energy and patience these girls had! My daughter’s face was priceless and they made her feel so special!! I know she will remember this day forever. Thank you so much for squeezing me in last minute and such a great performance. From the point of first contact to the end, excellent customer service. 5 stars all across the board! Thank you so much Hailey and Ashley. Returning customer- expectations exceeded once again! This is my second time using Princess Pro Impersonator and again, the company and characters did an amazing job, just like our first experience. This company truly delivers and you really get your money's worth, plus so much more! Marissa the booking manager was so accommodating with my crazy schedule and went out of her way to book The Sleeping Princess for my daughter's 5th birthday on very little notice. I decided to add Batman at the last minute and Marissa was so helpful coordinating everything and worked late to make it all happen in a very short amount of time. The Sleeping Princess and Batman arrived on time as scheduled and made a grand entrance! The little boys were so excited to do super hero training and the girls got to listen to the princess song! My daughter felt so special! The characters go out of their way to put on a show and made sure all 30 of the children got a picture and moment with them. I used Princess Pro Impersonator for my daughter's third birthday and they did such a wonderful job I was excited to use them again, knowing the quality of work I would receive. The price is very inexpensive compared to the value you receive and the look on your child's face when they see their favorite characters come to life and make them feel so special! I highly recommend using this company, you won't be disappointed! We took my 3 year old to the Valentine's Day event in the park. She loved every single princess! We had story time with Aurora and my daughter couldn't get over the fact that they were dressed the same. Had an absolute wonderful time! Can not wait to have Aurora at my daughters birthday party. Absolutely loved our princess!! They stay in character the whole time, very friendly and patient with the children, amazing voice! I would high recommend Princesspropersonator to friends and family!! I was very happy within services! These princesses are the real deal. I would recommend them to anyone that wants a real life expirience with the princes!!! Best Princess Impersonators in SoCal!! I have used Princess Pro Impersonator for two company grand openings and they were a hit both times. The Princesses stayed in character the entire time and they looked just like they do in the movie. Both had amazing singing voices & were so good with the kids. I highly recommend Princess Pro Impersonator! My husband and I brought my almost 3 year old to the Valentine's Day event this past Sunday and she had such an amazing time. This was such a great event and would definitely recommend it to anyone who's kids love princesses. We're definitely getting them for my daughters 3rd birthday!! And she sang so pretty !! Everyone was impressed , will be contacting you again next year thank you !!!! We had Anna & Elsa for my daughters 3rd birthday. All I can say is WOW!! The ladies were amazing! They were professional, showed up on time, were great with all the guests, looked beautiful and had amazing voices. My daughter was in complete awe the entire time. She woke up the following day asking if Anna & Elsa were coming over again! Words cannot explain how happy I was with their service....it was so much more than I expected. I will always remember the look on my babies face and I owe this to you. Thank you so much! Awesome!!! My daughter was soooo happy !! We had Elsa and Anna(Mari & Hailey) come to my daughter Leia's 4th birthday party is Saturday. They were awesome!! My daughter was so happy! They were very professional and stayed in character the whole time. We will definitely use them again!! Wow! We had the pleasure of hiring The Sleeping Princess from Princess Pro Impersonators. Ashley (our princess) was phenomenal. Her performance was well above my expectations. My 4 yr old was so excited and happy, even mesmerized by having her present at her party. She was very professional at all times. My guests enjoyed her performance and were even blown away by her singing skills, they kept talking about her days after the party. I would definitely recommend her services and will be using this company for my future events. We had a pool party in June and we ordered Ariel with the walking tail. Katie was our character for the day. She was friendly and professional. Kids enjoyed her. She had a great voice. I would recommend this company and hopefully hire a super hero for my sons bday in December. I just want to share how professional Miss Ashley was impersonating the little first princess. She made my daughter's third birthday memorable and elegant with her beautiful smile and singing. Thank you so much for being part of my baby's memories as a lil princess. I can't say enough positive things about Princee Pro Impersonators. 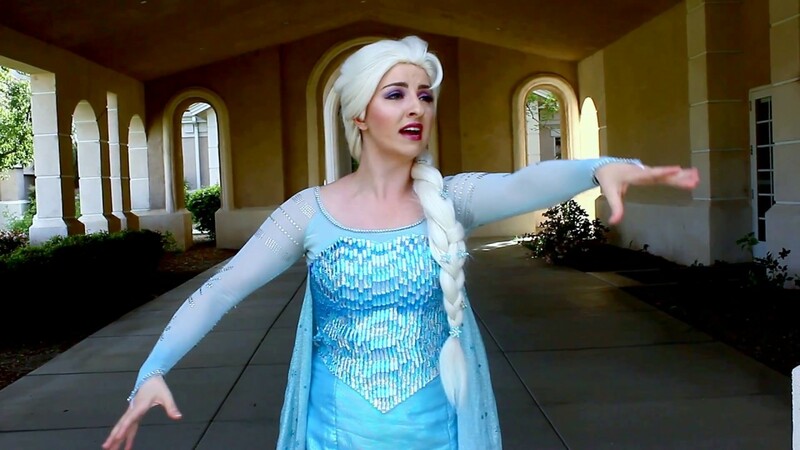 Ashley came to my daughter's birthday party as Elsa from Frozen. She was amazing: professional, talented, beautiful appearance and voice. My daughter loved her and everyone else did as well. I would hire them again over and again. Thank you so much for your wonderful review of our company! We strive to provide the highest quality in entertainment and we are glad we lived up to that promise for you! Thank you for sharing about our company's quality! Thank you so much for your kind review! We are glad we lived up the high quality standards we promise! We hope to service you in the future especially with our special discounts for retuning clients!! "We promise to provide high quality entertainment with children as our main focus in order to create lifelong memories with Quality in mind, not Quantity, while maintaining a positive communication with our clients." We have over 180 5/5 Star Facebook Reviews and have serviced over 400 events with all of our clientele rating us with 100% Satisfaction! What better way of detailing our Company's "Biography" than hearing it from the clients themselves?! Check out our website by google searching Princess Pro Impersonator!